﻿Yturria Elementary School is located in Brownsville, Texas. Yturria Elementary School is one of thirty-six elementary schools in Brownsville ISD. The campus was constructed in 1992. 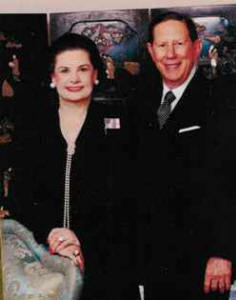 It was named after Brownsville businessman Frank Yturria and his wife Mary, a local philanthropist. "This is a day to remember for us," Mary Yturria said. "It's a great honor to have a school named after Frank and me, and Brownsville should be proud to have such a school like this one." The first named principal was Mrs. Alma G. Garcia. As part of a supportive, non-discriminatory, cooperative environment, each student at Yturria Elementary School will be given opportunities to develop academic, social, emotional and physical skills. Meeting the individual needs of all students is the primary goal and mission of the Yturria Elementary faculty and staff.